(Counterpoint Press, 2014). Available here. The high priest of African chiles was Laurens van der Post, the South African author who wrote, “The man who has become hooked on piri-piri hungers for his favorite dish like a junkie for heroin, because the person who has once acquired a taste in the tropics for Indian curries, Oriental spices or African chillies becomes an addict…. My French and Chinese friends sometimes tell me that piri-piri and spice cooking are ruinous to a sensitive palate, and boast that they have created the world’s two reigning academies of cuisine without recourse to such extremes in the kitchen.” Van der Post goes on to question the truth of that belief by noting that fancy hotels in eastern Africa “are always full of piri-piri voluptuaries,” so gourmets must love the spicy foods. I should have written Sir Laurens van der Post, because after taking Prince Charles on safari and consulting with Prime Minister Margaret Thatcher, he was knighted by Queen Elizabeth II in 1981. He wrote the addict comment in First Catch Your Eland (1977), in which he gives the background to his breakthrough book on African cuisine, African Cooking (1970). This book was significant because it was part of the Time-Life series, “Foods of the World,” and elevated African cuisine to the same level as the other books in the series, such as The Cooking of Provincial France (1968) and The Cooking of Vienna’s Empire (1968). After he had turned down a request by the Time-Life editors to go to Russia and write a “Foods of the World” title on Russian cuisine, he was struck by what seems to have been carpal tunnel syndrome and his doctor told him to avoid writing with his right hand for six months (he didn’t use a typewriter). But if he couldn’t actually write, at least he could travel and have someone take notes for him. 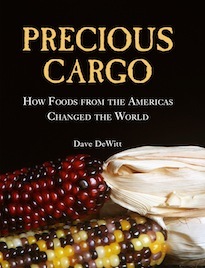 He had an inspiration and wrote the editors “to ask if they had commissioned someone to do a book on the foods of Africa. They wrote back to ask: ‘But is there such a thing?’ Of course there was and to such an extent that my book on African food was chosen by The New York Times as the cookery book of the year and is still a world-wide bestseller.” In order to complete African Cooking, van der Post traveled his native Africa extensively and will be our guide to its chile-dominated cuisine. But first, a little background.